Under Construction Page - Best Maintenance Page Plugin? 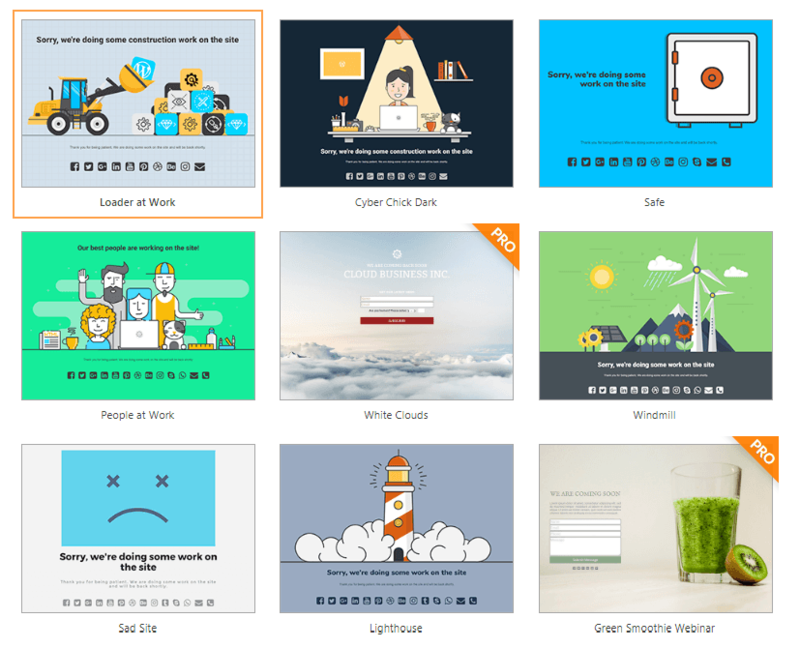 Under Construction Page – Best Maintenance Page Plugin? The idea of creating an Under Construction Page Mode is really important sometimes while we need to do some maintenance work on our website. That way, we can convey a clear message to our loyal visitors that some maintenance works have been going on. 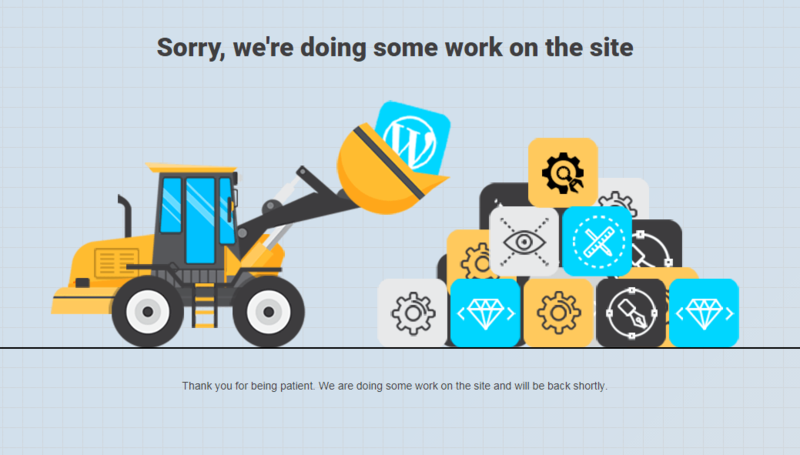 If at all, we have to work on our website and in case, there’s any possibility of it to affect the performance, then, it would be rather wise to use the “Under Construction Page Plugin” for WordPress than disappoint the visitors with an extremely poor performance. In this Under Construction Page WordPress Plugin Review, we are going to cover every aspect of this plugin. We shall discuss the basic as well as the Pro features of this excellent Plugin. In today’s world wherein competition is almost touching the skies, it wouldn’t be a wise thing to do website maintenance without using an Under Construction mode. There’s no denying the fact that some people still like to take a change but things can just get devastating all of a sudden just in case it affects the website to such an extent that the website ends up putting a terrible show in front of the web traffic and losing them forever. The Under Construction Page plugin for WordPress is an excellent plugin for under construction page creation, for creating Maintenance Mode Page and for creating coming soon page. Most importantly, this plugin is extremely easy to use, fast and also, it offers outstanding designs. 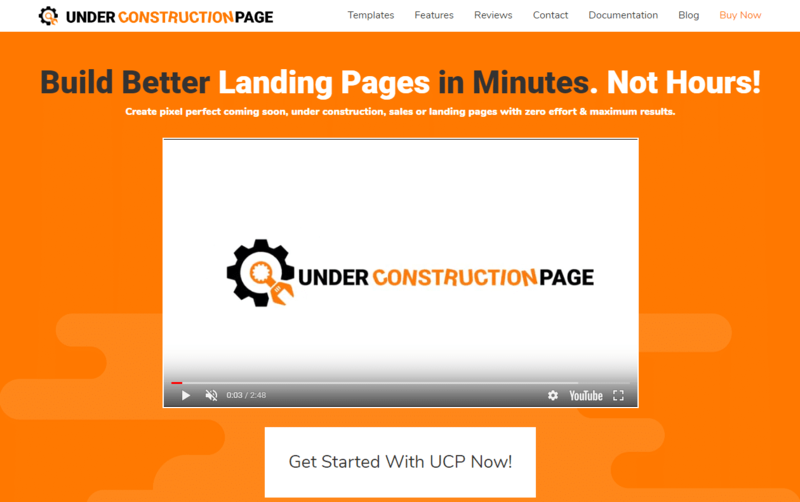 Just see how easy to set up an Under construction page in no time. The plugin is especially good for beginners and it is quite simple to use. This is one of the reasons why this plugin is increasingly getting popular. It has over 150000 active users and over 1000 five-star reviews that are good enough for any beginner to give it a try without having any second thought. The plugin has been developed keeping in mind every advanced SEO aspect and hence, it is highly SEO optimized. The Plugin allows you to set under construction mode with easy on and off options and on top of that, it allows the users to set an automatic date and time to disable the under construction mode. Most importantly, the plugin includes various popular social media icons and links. It’s compatible with almost all the caching plugins. Furthermore, the plugin offers an excellent email as well as Google Analytics support. You can begin with the basic version and gradually, upgrade to the Pro version as you get more used to it and the Pro version certainly has the most powerful features for you to explore. In simple words, if you want your website to perform consistently well, you'd have to handle every aspect of it with utmost care and in the most professional manner. Every visitor matters. Try not to lose a single loyal visitor because of any silly mistake. The Under Construction Page WordPress Plugin Pro Version certainly offers you with more advanced features. With brilliant features like the Drag & Drop builder, Advanced Access Control, Advanced integrations and more, you can certainly create the most effective “Under Construction” or “Coming soon” Pages. The Under Construction Page WordPress Plugin Pro version is available at a one-time cost of $70 and it includes installation on 1 site, lifetime upgrades & support, MailChimp integration, universal autoresponder support, over 50 templates, affiliates module, instant download & activation and more. The Drag & Drop Builder is a very user-friendly feature that this plugin offers and it is especially handy for the beginners to create pages pretty fast with the greatest ease. With the Drag & Drop Builder, you can create stunning pages without the slightest need for any coding. The Advanced Access Control comprises control over user roles, access and affiliate links, storage, and integrations. Using this feature, you can keep all of the links and integration well organized. 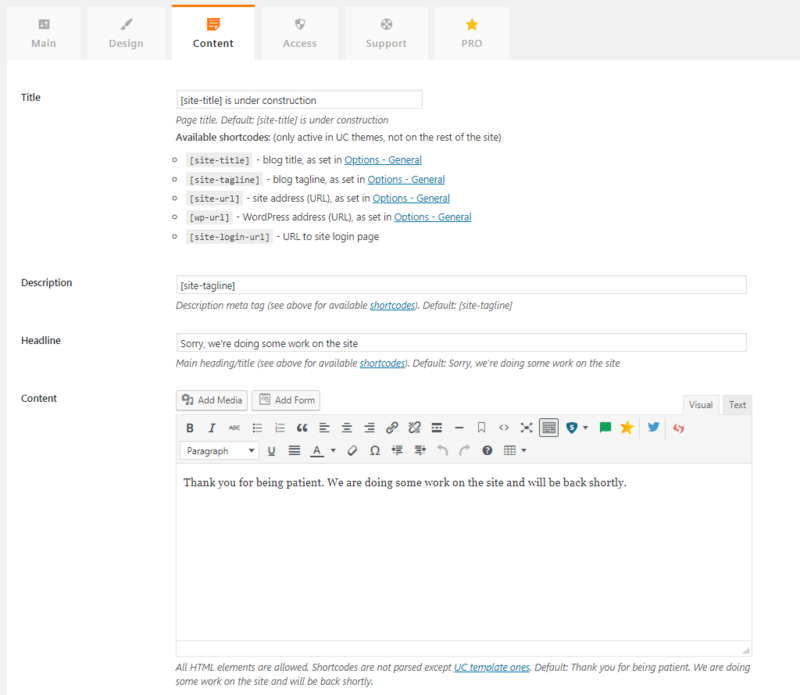 The plugin offers MailChimp, Zapier and universal autoresponder integration. Also, it offers a wide selection of templates to help you create quickly create stunning pages to catch the attention of the visitors as well as convey the message clearly to them. It helps the users build custom links with custom expire rules. It allows you to unsplash API integration and gets unimaginable access to over 200000 photos. It offers you with excellent Newsletter module to create stunning newsletters. Also, there are many other advanced features like countdown timer or import and export settings. Do you ever imagine how much effort it takes to keep a website smoothly running on a consistent basis as well as making it popular among web traffic? It certainly takes a whole lot of hard work on both the backend as well as the frontend to make your website stand out amongst your competitors’ websites. Visitors might feel a bit disappointed for a moment when your site is not loading properly with no maintenance page. However, the plugin we mentioned in this post can help you a lot in this regard and would certainly help you create the most stunning “under construction “and “Coming soon” pages.